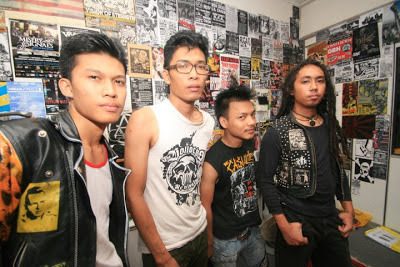 MALAM INI TEMUBUAL BERSAMA BAND PUNK ROCK PALING COOL DI ASIA TENGGARA - THE GARRISON - JAM 9.00M MALAM INI SEMPENA KONSERT 8T BERSIH. KEPADA MAT-MAT PUNK, MAT-MAT MODS, MAT-MAT SKINHEAD, MAT-MAT OI!, SILA SUPPORT THE GARRISON!!! TAPI MALAM INI KITA LIVE DULU DI RADIO BANGSAR UTAMA!! BERANI LANGGAR LAPORAN JELAS ! !